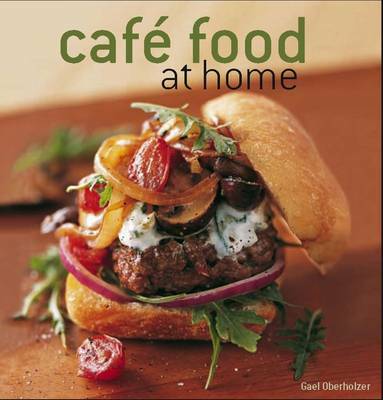 "Cafe Food at Home" is, essentially, a practical book that provides over 80 innovative and delicious bistrostyle meals for you to prepare. By definition, cafe food is relaxed and easy-going. It conjures up images of lazy weekends and holidays, of tasty food imaginatively served, and of preparation and cooking times that are kept to the minimum. Soups, salads and wraps feature strongly, while afew simple sauces, pestos and dressings underpin the principle of cafe food - get the basics right and the rest will fall into place. Follow the recipes to the letter if you must, or amend, adapt and innovate until they suit your own tastes and budget. If you enjoy gourmet bistro food, but prefer the convenience of eating in, "Cafe Food at Home" will turn you into a chef in your own kitchen.